A reliable and secure website is a must in today’s electronic world. Our UK WordPress website hosting will not let you down. More than just hosting: We do more than just host your WordPress website. We also provide the ongoing support, backup and maintenance of core components and plug-ins so your site stays up and is fully protected. We routinely update all websites we host with the latest security patches and bug fixes. We also backup your website daily so if the worst happens you can quickly restore the up to date data and content. 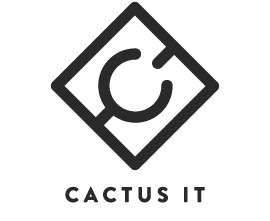 Fast, personal service: What differentiates the Cactus IT service is our personal attention to the maintenance and backup of your UK WordPress site. If your site is down, just call us and we will restore it from the latest backup in minutes. For more information about our UK WordPress website hosting, please contact us on +44 (0)1943 666 711.